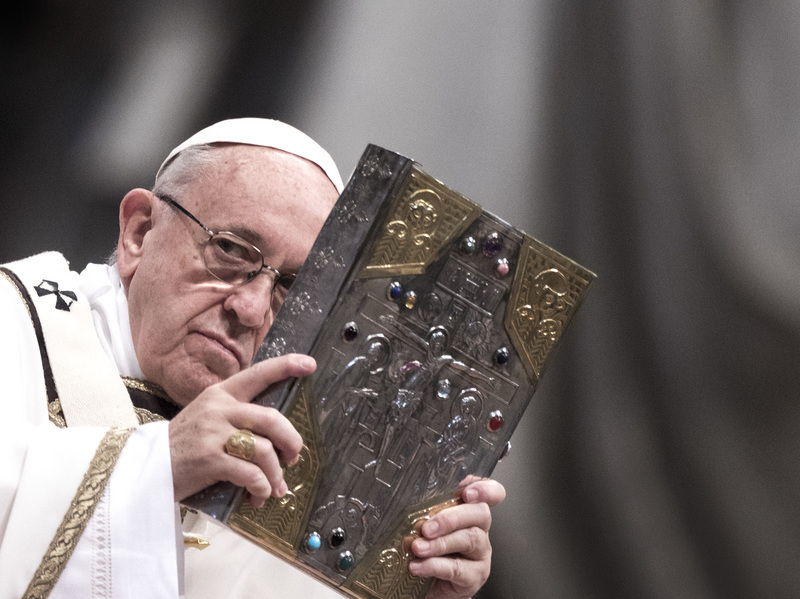 Pope To World: Hell Does Exist : The Two-Way An article by an avowed atheist quoted the pontiff allegedly saying, "Hell does not exist." That set social media aflame and now the Vatican is reminding believers that bad people go to a bad place. Pope Francis celebrates the Chrism Mass at St. Peter's Basilica on Holy Thursday in Vatican City. The Vatican adamantly rejected Scalfari's characterization of the conversation, which it insisted was not an official interview but rather a "private meeting." "What is reported by the author in today's article is the fruit of his reconstruction, in which the precise words uttered by the Pope are not cited. No quotations in the aforementioned article, then, should be considered as a faithful transcription of the words of the Holy Father." And an article by the Catholic News Service said Scalfari has admitted "on more than one occasion" that he doesn't take notes or record his conversations with the pope. In other words, he prefers to take, let's say, a memoirist approach to his reporting. He relies largely on memory and recollection, as opposed to documentation. The news outlet also reminded readers that this is a favored subject of Scalfari's. It reported the journalist wrote a similar article in 2014, so this is a ... resurrection, of sorts. Easter — the day Christians celebrate Jesus' Resurrection — is on Sunday. An earlier version of this post incorrectly described Easter as "the day celebrating the idea that Jesus did not die and go to hell or purgatory or anywhere at all, but rather arose into heaven."